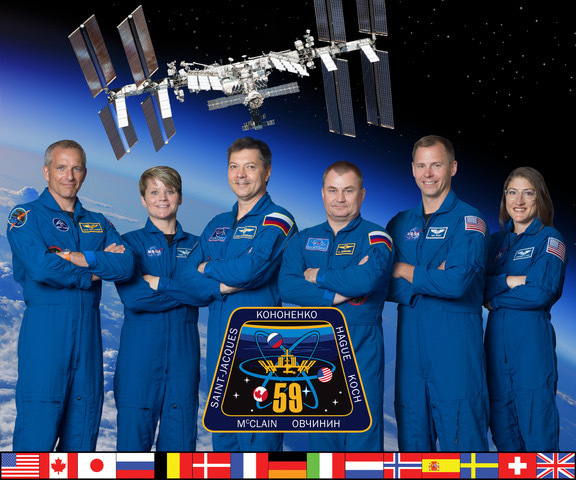 Pictured above are the 58 Mission 13 to ISS Step 2 Review Board members. In the top picture are the reviewers that participated on the first day of the review, November 29, 2018. In the bottom picture are the reviewers that participated on the second day of the review, November 30, 2018. Both pictures were taken at the College Park Marriott Hotel and Conference Center in Hyattsville, MD. The National Center for Earth and Space Science Education (NCESSE), and Arthur C. Clarke Institute for Space Education, are proud to introduce the National Step 2 Review Board for SSEP Mission 13 to the International Space Station (ISS). 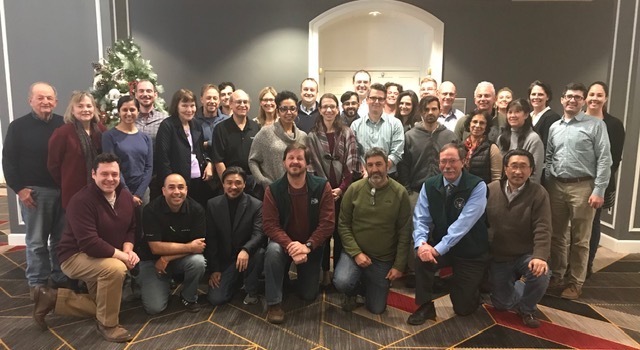 On November 29 and 30, 2018, the Board met at the College Park Marriott Hotel and Conference Center in Hyattsville, MD, to review 121 finalist proposals for student flight experiments submitted from across the network of 38 communities participating in SSEP Mission 13 to ISS. Listed below are the 58 Board Members—scientists, engineers, and science educators from academia, federal agencies, commercial entities, and national science education non-profits. For Mission 13 to ISS, a total of 23,117 grade 5-16 students were formally engaged in designing microgravity experiments suitable for flight aboard ISS. At the conclusion of the 9-week experiment design phase, a total of 3,683 proposals were submitted by student teams, and 1,354 proposals were forwarded for review by SSEP Step 1 Review Boards in the communities. In 1 of the 38 Mission 13 communities, community leadership opted to fly 2 experiments, while in another community leadership opted to fly 3 experiments. 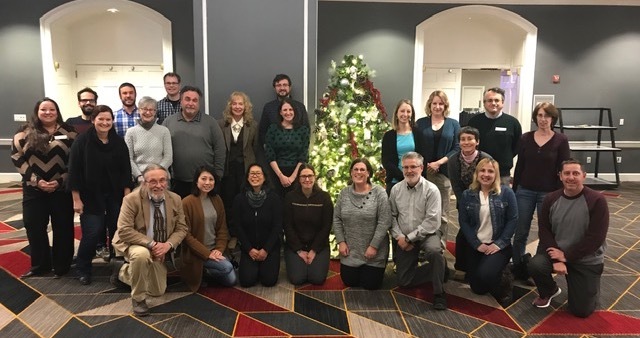 For Step 2 review, the Board Members were divided into 13 teams, each comprised of both researchers and science educators, and each team responsible for review of proposals from three to four SSEP communities. Board Members selected 41 flight experiments, one for each of 36 communities, two for one community and three for the remaining community. The Board Members spent a great deal of time providing thoughtful comments for all 121 proposals, which were forwarded to the proposing student teams by NCESSE. The review went well beyond what is typical of reviews for professional research proposals given the deep recognition that the review process, and the comments back, were critically important teachable moments for the student researchers that worked so hard on their proposals. Through SSEP, we want to immerse students in real science. The review process is very much a part of real science, and that process therefore needs to be transparent and a learning experience. NCESSE reviewed all comments from the Step 2 Review Board to assess if there were any outstanding questions that needed to be addressed by the selected student flight teams, and by December 17, 2018, NCESSE formally notified each community of their selected flight experiments. You are invited to explore the selected flight experiments and honorable mention finalist experiments for Mission 13 to ISS. To the thousands of students that participated in SSEP Mission 13 to ISS, regardless of whether your proposal was selected for flight, and regardless of whether it formally went before a Review Board, it is important to recognize the endeavor in which you’ve been engaged – real science. This is how real research proceeds from opportunity, to defining a proposed research program, to submission of a proposal, to formal proposal review and selection. In the professional world, comments back from the Review Board allow a team to rethink and refine their proposed research, so they can submit a better proposal for the next opportunity. We have indeed had SSEP student teams that did not get selected for spaceflight the first time, but did get selected with a refined proposal as part of their community’s next flight opportunity. Reflect on the overall experience, and recognize that you and your team owned this process – you came up with a microgravity experiment of interest to you, and designed it to fly in a research mini-lab that has a very real set of constraints on its operation. So get excited about what you’ve achieved, and get excited about science, technology, engineering, and mathematics (STEM). We challenge you to seek out new opportunities in STEM where you can be curious and take ownership … in the journey. Finally, recognize that YOUR COMMUNITY now has an experiment destined for the International Space Station, that you are part of this historic adventure, and now you and your community can rally around your flight experiment and root for its success. For an organism to survive, the genome, the complete set of DNA in a cell, must be stably maintained and correctly regulated. Given the central importance of the genome, it is surprising that some organisms simply eliminate significant portions of it from some or all cells. Genome changes are also linked to cancer, a fundamentally genomic disease. My lab works on interesting questions surrounding genome dynamics: how does the organism maintain–and sometimes purposefully alter–its genome architecture, and how can it go awry in disease? Genomic methods used in this work include next-generation sequencing of DNA and RNA, cell culture, and computational methods. A particular focus of my laboratory is the role of epigenetics–a genetic code-on-a-code-in controlling genome structure and function. Shaun Brinsmade is a microbiologist and an assistant professor in the Department of Biology at Georgetown University in Washington, DC. His research lab is interdisciplinary in nature and uses cutting-edge and genome-wide methods to answer biological questions at the interface of metabolism and pathogenesis (the ability to cause disease) in Gram-positive bacteria. Currently, his lab is seeking to understand how a bacterium couples changes in intracellular abundance of key chemicals (metabolites) to changes in physiology and gene expression, including the expression of genes that direct the synthesis of factors that potentially damage the host. A major focus is the transcription factor CodY, which may act as a molecular switch that mediates the transformation from a harmless bacterium to one that causes disease. To learn more, visit www.brinsmadelab.com. Dr. Ching received her BS in Dietetics from the University of California, Davis, her MS in Human Nutrition from Cornell University, and her ScD in Health and Social Behavior from the Harvard TH Chan School of Public Health. She began her career as a Registered Dietitian, providing care to pediatric, adolescent, and adult patients in facility- and community-based settings. In 1992, she joined the Centers for Disease Control and Prevention (CDC) and was commissioned as a Scientist Officer in the US Public Health Service. 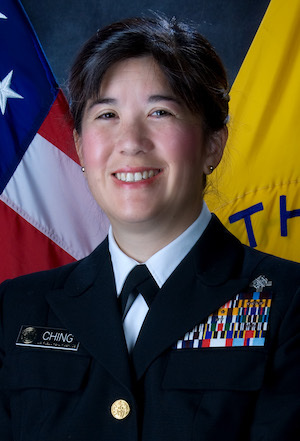 During her career at the CDC, Dr. Ching has worked as a Public Health and Research Epidemiologist developing and managing Strategic Information systems, and providing mentoring on analysis, interpretation, and reporting of data from large scale surveys and surveillance systems focused on disease prevention. 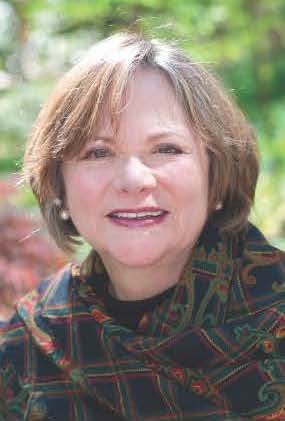 She has worked domestically with state and local health departments, and internationally with Ministries of Health, and United Nations, non-government, and US Government agencies in over 24 countries. Dr. Ching’s areas of expertise include vaccine-preventable diseases, HIV/AIDS, behavioral risk factors for infectious and non-communicable diseases, food insecurity and malnutrition, and physical activity, obesity, and risk factors for other chronic diseases. She enjoys mentoring junior and mid-career Scientists along their career paths. 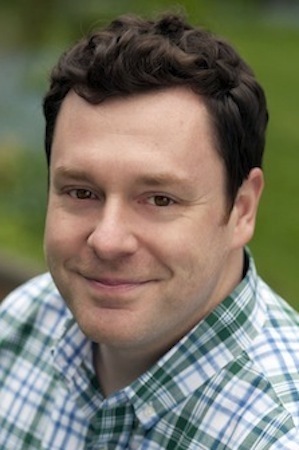 John is an Assistant Professor in the Department of Biology at The Catholic University of America in Washington, DC. His laboratory studies several areas of research related to genome stability and plasticity: (1) Elucidating mechanism(s) responsible for integrating nutrient signals with chromosome segregation and the DNA damage response (DDR), (2) Mapping complex haploinsufficient interactions that lead to chromosome instability, and (3) Investigating mechanisms of antibiotic and antifungal resistance in the context of mixed microbial cultures. We apply and develop genome-scale and single cell resolution tools with the aim of building a comprehensive understanding of metabolic signaling and its connection to chromosome structure and function. An overarching goal of this work is to understand how extracellular signaling can modulate genome plasticity and confer greater adaptability/evolvability. John obtained his PhD in Molecular Genetics and Cellular Biology from the University of Chicago and completed his postdoctoral training in the Department of Physics and Stanford University. To learn more please visit, http://biology.cua.edu/faculty/john-s-choy.cfm. Dr. James Churchill serves as Senior Advisor to the Director at the National Institute of Mental Health (NIMH). Dr. Churchill is a neuroscientist and has conducted research evaluating the anatomical and physiological basis of learning and memory. During his tenure at the NIMH, Dr. Churchill has managed a variety of projects from supporting young investigators to managing BRAIN Initiative efforts in the areas of next generation human brain imaging and neuroethics to the coordinating interagency research on suicide. 6. 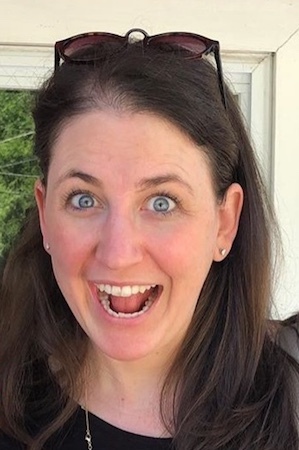 Dr. Victoria Connaughton, Ph.D.
Vikki received her BS in Biology from Bucknell University and a PhD in Marine Studies from the University of Delaware. 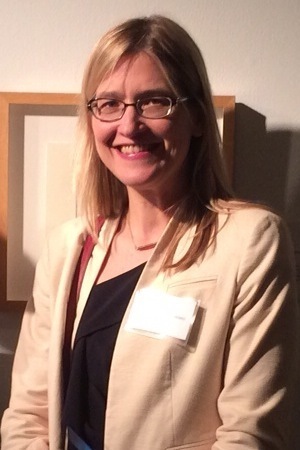 After completing her PhD, Vikki began a postdoctoral fellowship in visual neuroscience at the University of Texas Houston Health Sciences Center using patch clamp techniques to study responses of bipolar cells in zebrafish retina. Then, she continued to study the neuroscience of the zebrafish retina in a second postdoctoral position at the National Institutes of Health. Her current research at American University focuses on how normal eye function is altered as a result of disease (diabetic retinopathy) or exposure to environmental contaminants. 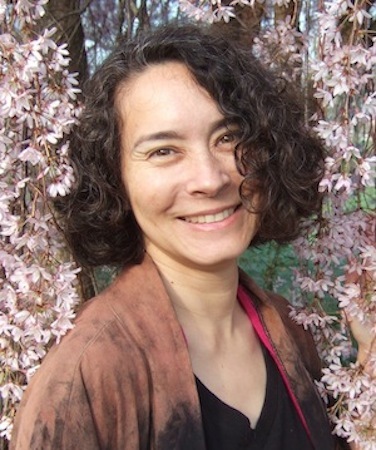 She uses an interdisciplinary approach in her research that includes physiology, anatomy, and behavioral techniques. For more information please visit edspace.american.edu/connaughtonzenvlab/. 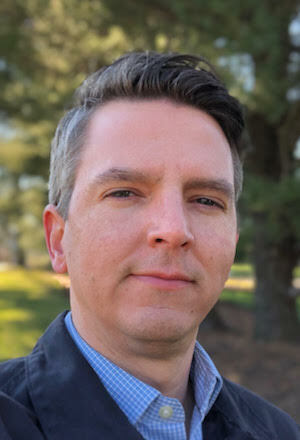 Dan Crooks studies kidney cancer metabolism at the NCI Urologic Oncology Branch in the NIH Clinical Center, with the goal of identifying novel metabolic pathways that can be targeted by therapeutics in the clinic. Dan completed a B.A. in Molecular Biology and an M.S. in Environmental Toxicology at the University of California at Santa Cruz, and earned a Ph.D. in Biochemistry from Georgetown University while performing research at the NIH on cellular iron metabolism in developing red blood cells and in mitochondrial myopathy patients. 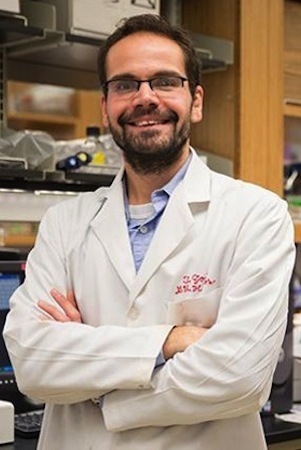 His long-term research interests lie in developing new metabolic techniques to study altered cellular metabolism and tissue specificity in human diseases. Douglas Dluzen is an Assistant Professor of Biology at Morgan State University. His laboratory is focused on the intersection of human health disparities, aging, and the environment. He is interested in identifying biological and socioeconomic factors that influence health disparities in the community and their impact on healthy aging and age-related diseases. Doug primarily studies the role of non-coding RNAs in the biology of these mechanisms contributes to cardiovascular disease disparities in Baltimore City. He earned his B.S. in Molecular and Cellular Biology from the University of Illinois at Urbana-Champaign and Ph.D. in Genetics from the Pennsylvania State University Hershey College of Medicine. He was a post-doctoral research fellow at the National Institute on Aging. He teaching evolutionary biology, genetics, and environmental biotechnology to students at Morgan State. 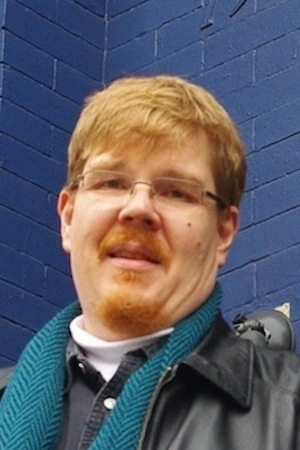 In his free time he writes science fiction and non-fiction, and his work can be found in Clarkesworld Magazine and Analog Science Fiction and Fact. Dr. Dwyer’s research interests are rooted in the study of dynamic events that occur during bacterial cell death and the influence of these events on antibiotic susceptibility. To address complex questions related to lethally stressed bacterial pathogens, the Dwyer Lab utilizes a broad complement of microbiology, bioengineering and chemical biology methods. Most notably, the lab applies synthetic and systems biology approaches to the identification and investigation of physiological vulnerabilities that appear under conditions of antibiotic stress in order to enhance our current antibiotic arsenal and resensitize drug resistant bacteria. Dr. Dwyer obtained his Ph.D. from the Molecular Biology, Cell Biology and Biochemistry Program at Boston University, following his B.S. in Biology from Boston College and two years in research and development at Forticell Bioscience, a tissue engineering company. 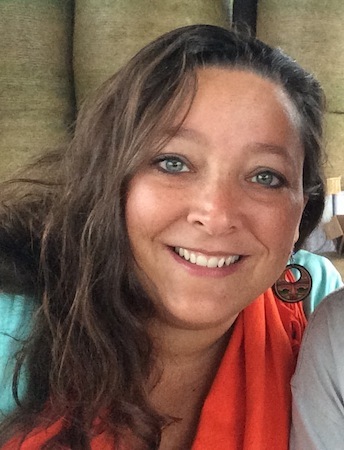 Anahí Espíndola is an Assistant Professor in Department of Entomology at the University of Maryland, College Park. She obtained her PhD at the University of Neuchatel (Switzerland), later worked at the University of Idaho as a post-doctoral researcher, and has now established her lab at the UMD. She is interested in understanding how the biotic and abiotic environment affect the way species interact and diversify. To do this she uses ecological, geospatial, experimental and phylogenetic approaches, that she applies on natural systems. Although she has been working on many different organisms and ecosystems, plant-insect interactions in general and pollination in particular have now become close to her heart. Along with aiming to improve our knowledge on the relationship between the environment and species interactions, another of Dr. Espíndola’s goals is to promote innovation through the creation of welcoming, creative and inclusive research and education spaces. 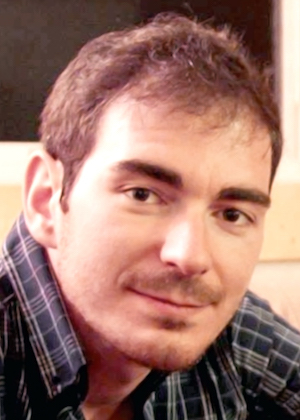 Dionysis is an experimental geochemist studying the evolution of geofluids in a wide range of natural environments. His research activities focus mainly on the evolution of submarine volcanoes; the habitability of deep-sea extreme environments; and the geochemical interactions between Earth’s upper mantle, crust and oceans. He develops novel experimental designs to investigate natural processes under controlled laboratory conditions, and he has been involved in oceanographic expeditions at the Pacific Ocean and the Mediterranean Sea. Talita B. Gagliardi is Research Assistant at the University of Maryland College Park (UMCP), Department of Cell Biology & Molecular Genetics. She is Bachelor in Biomedical Science and Specialist in Clinical Analysis; and obtained her PhD. 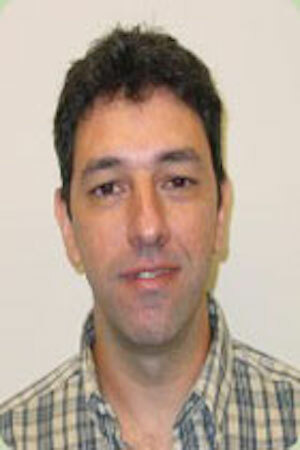 in Molecular and Cell Biology & Microbiology from University of São Paulo (SP, Brazil) in 2012. 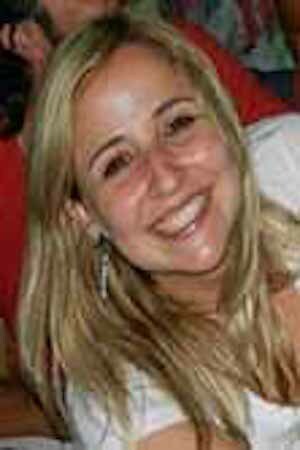 She worked as Postdoctoral Fellow in University of São Paulo (SP, Brazil; 2012-2016) and in Columbia University (NY, USA; 2013); and recently she started working in Dr. Margaret Scull’s team. Talita’s interests are studying about human respiratory viruses regarding their replication, genome variability and innate immune response. Several techniques are applied, including cell culture, immunofluorescence, immunohistochemistry, in situ hybridization, sequencing, reverse genetics, prokaryote and eukaryote protein expressions, Western blotting and metagenomics. She always looks forward to expand her contribution to Virology area, as collaborating in studies about animal viruses; and also in educational area. 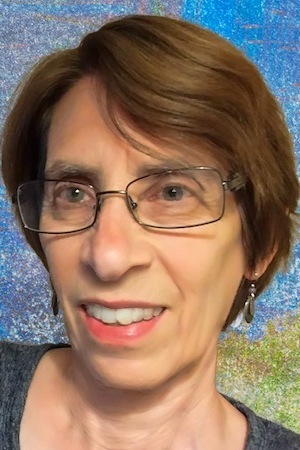 Elaine K. Gallin is a partner at QE Philanthropic Advisors a consulting firm that serves non-profits specializing in biomedical research, science and math education, and international health. From 1999 to 2010, Dr. Gallin served as the Doris Duke Charitable Foundation’s first Program Director for Medical Research. In that capacity, she led the creation and management of a portfolio of grant programs that committed more than $225 million to support grants and fellowships aimed at developing the careers of clinical investigators, speed the translation of basic sciences into new therapies, cures and preventions for human diseases, and conduct implementation research focused on HIV/AIDs care and health systems strengthening in sub-Saharan Africa. Before joining the philanthropic sector, Dr. Gallin spent two decades working for the U.S. government, first as a research physiologist at the Armed Forces Radiobiology Research Institute, and then as administrator where she last served as the Deputy Director of the Office of International Health Programs in the U.S. Department of Energy. Dr. Gallin received her B.S. from Cornell University and her Ph.D. from the City University of New York. 14. Theresa M. Geiman, Ph.D.
Dr. Geiman completed her undergraduate studies in Biochemistry from McDaniel College, followed by a Ph.D. in Molecular and Cellular Oncology from The George Washington University. She performed her thesis research at the National Cancer Institute-Frederick, generating and characterizing a knockout mouse model of the Lsh/Hells chromatin remodeling gene. She continued her research training with postdoctoral fellowships at the National Institute of Child Health and Human Development and the National Cancer Institute at NIH. Her research focuses on studying proteins involved in epigenetic mechanisms such as DNA methylation, chromatin remodeling, and histone modifications through the use of in vitro cell culture and in vivo mouse models. Of particular interest is the study of how altering the expression of these epigenetic genes, and therefore the packaging of the cellular DNA, is involved in the processes of early mammalian development, cellular differentiation, and cancer. In addition to her research, Dr. Geiman is also involved in programs to encourage students to pursue careers in biomedical research, as well as those that enhance training for students interested in careers in cancer research. 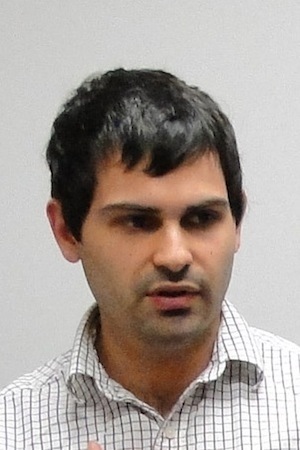 Ben Goodman is a peer review administrator for NASA whose work currently focuses on program contained within the Human Exploration and Operations Mission Directorate and the Space Technology Mission Directorate. He has been a peer review administrator for five years, and has gained a familiarity with a wide variety of NASA programs and research portfolios while recruiting and serving as referee for many panels and solicitations, especially those dealing with NASA life sciences programs. Before working for NASA, he performed research on mitotic spindle assembly in Xenopus and cell culture while at Johns Hopkins University, where he received his Ph.D. in Cell Biology, and also served as a post-doctoral researcher at the NIH where he worked on microtubule post-translational modifications..
16. Carlos M. Guardia, Ph.D.
Charly obtained his BS, MS and PhD in Chemistry from University of Buenos Aires, Argentina. Currently, he is a senior postdoctoral fellow at the National Institutes of Health (NIH), in Bethesda, Maryland in Dr. Juan Bonifacino’s group. During his first years at NIH, he studied the key aspects of organelle (lysosomes and mitochondria) transport driven by motor molecules (kinesins and dynein), not only in non-polarized cells but also in neurons. Now, he is actively working on a novel approach for controlling the positioning of different organelles within the cell, using engineered kinesins that can reversible detach from its cargo. With these tools, he is trying to understand the molecular mechanisms of intracellular traffic and provide insights into the neurodevelopmental disorders where these proteins have failed to work properly. Jonathan is a member of the Virus Host Ecology team under the mentorship of team lead Dr. Jonathan Towner. 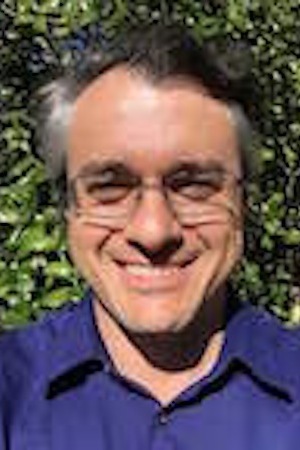 Jonathan’s team focuses on understanding animal reservoir hosts of filoviruses, including species identification, ecology, population dynamics, virus maintenance, mechanisms of transmission and bat immunology. Jonathan is investigating bat immune responses to infection in an effort to better determine how the natural reservoir host of Marburg virus, the Egyptian rousette, is asymptomatically infected by these pathogens, while in humans they cause severe, often lethal, disease. A goal of his research is to one day contribute to the development of antiviral therapies that exploit knowledge gained about bat immunity. Prior to becoming a researcher at CDC, Jonathan obtained his Ph.D. in Microbiology and Molecular Genetics from Rutgers Biomedical and Health Sciences in New Jersey. There, he completed his thesis on molecular mechanisms of Kaposi’s sarcoma-associated herpesvirus (KSHV) reactivation from latency, a process essential for the onset of a potentially life-threatening cancer, particularly in elderly or immunocompromised persons, such as HIV/AIDS patients. Jonathan has long participated in educational and outreach programs while at Rutgers and now at CDC, and is excited to parlay this interest into his fascination with NASA, astrobiology and space exploration. John is the Education Program Manager at the National Center for Earth and Space Science Education. He provides logistics and coordination support for NCESSE’s various programs, including SSEP, Family Science Night and Voyage. As the SSEP Flight Operations Manager, John provides logistics support for all phases of flight operations, as well as website content development, coordination support for the annual SSEP National Conference, organization of SSEP delegations attending a mission launch, and overseeing the Mission Patch design competitions for each SSEP Mission. John also has extensive experience with non-profit education organizations and a certified association management group. He spent the early years of his career working directly with pre-school and school-aged children. 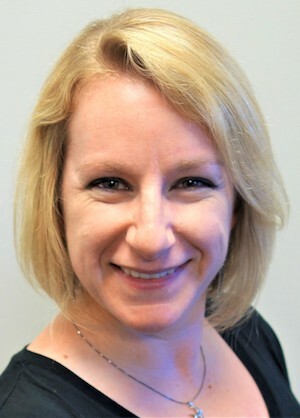 Stacy Hamel is the Senior Education Program Manager for the National Center for Earth and Space Science Education, and also serves as the Senior Flight Operations Manager for the Student Spaceflight Experiments Program (SSEP). As the Senior Flight Operations Manager, Stacy oversees all aspects of SSEP from the microgravity experiment design and proposal competition phase, to proposal review and selection, experiment refinement and validation for flight, launch, on-orbit operations, and experiment return to Earth for harvesting and analysis. In this capacity she also serves as the liaison to NanoRacks on all flight experiments and issues associated with NASA flight safety review. Stacy manages SSEP international participation through the Arthur C. Clarke Institute for Space Education. She oversees the Flight Operations team, including Flight Operations Managers and Coordinators. 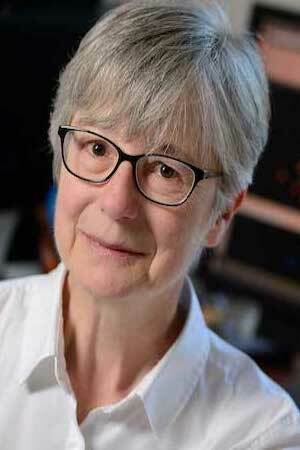 Ann Hobbs holds a Ph.D. in Biophysics from the University of Maryland at Baltimore, and devoted a number of years to biochemical and physiological research on cation transport across cell membranes. A large part of her scientific career was spent at the National Institutes of Health and the University of Maryland Medical School. Dr. Hobbs subsequently earned a J.D. from the University of Maryland School of Law and became a patent attorney, her legal practice focusing on medical, biotechnological and pharmaceutical inventions. She is a former partner of Venable LLP, Washington, D.C.
Dr. Holahan is responsible for developing technical standards for issuing federal regulations and guidance to possess and use radioactive materials by academic, industrial and medical licensees. His specific research interest is public and occupational health and developing guidance to limit occupational and public exposure to ionizing radiation during routine and emergency situations. He also is the current U.S. Representative to the United Nations Scientific Committee on the Effects of Atomic Radiation. Before joining the Nuclear Regulatory Commission in 1996, he was a senior program officer to the Board of Army Science and Technology at the U.S. National Research Council/National Academies of Science. Dr. Holahan completed 35 years of active and reserve service in the U.S. Army as nuclear medical sciences officer. His military research interests include the study of both ionizing and non-ionizing radiation and its impact on military performance. Dr. Holahan received a Bachelor of Arts degree in chemistry and a Bachelor of Sciences degree in biology from Gonzaga University. He received his doctoral degree in Radiology and Radiation Biology and an interdisciplinary degree in Cellular and Molecular Biology from Colorado State University. His graduate research interests include the combined use of heat and ionizing radiation as a new modality for cancer treatment. Mike is responsible for STEM education in the Museum’s How Things Fly gallery, which teaches visitors about the science of flight. Mike is also very involved in exhibition development at the Museum. 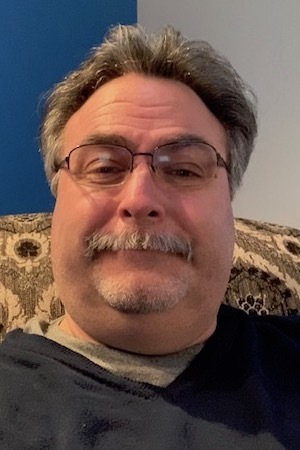 Mike has worked in museums and zoos for more than 26 years, researching, writing, presenting and evaluating STEM programs for school groups, educators, families, and the general public. 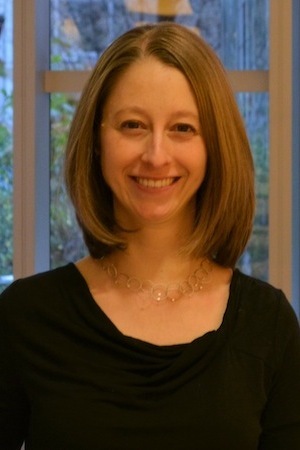 Carly Jordan is an Assistant Professor in the Department of Biological Sciences at the George Washington University, and serves as the Program Coordinator for the Science, Health and Medicine cohort of the Women’s Leadership Program. 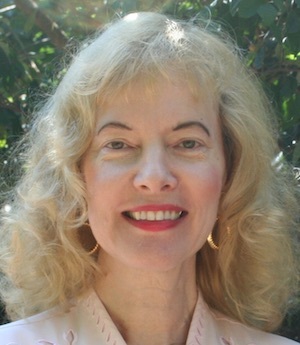 She earned her Ph.D. in Cellular Biology and an Interdisciplinary Certificate in University Teaching from the University of Georgia. She teacher introductory biology for majors, non-majors biology online and Honors seminars on human reproduction and nutrition. Her current scholarship is focused on science education, and she strives to create teaching materials and tutorials that will help faculty increase engagement and active learning in their courses. She is also interested in the factors that encourage women to persist in STEM majors. Dr. Jurjus is an Associate Professor in the Anatomy and Cell Biology Department at the School of Medicine and health Sciences at the George Washington University. She teaches 3 anatomical disciplines (Gross Anatomy, histology and Embryology). 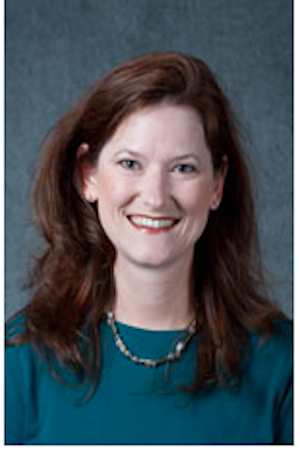 She is the Director of the Pre-Medicine Graduate Programs in Anatomical and Translational Sciences (GCATS and MATS). She is the co-Director of the GI/Liver Block and the Director of the Histology and Embryology Disciplines in the MD curriculum. 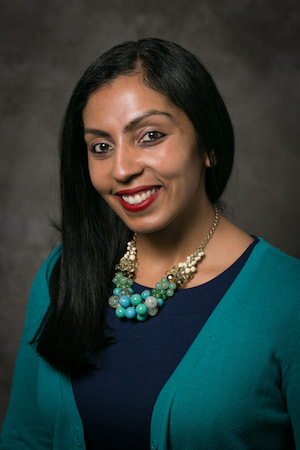 She is also the Faculty Development Associate for Education Research at the Center for Faculty Excellence at The George Washington University School of Medicine and Health Sciences. She shifted her main research focus over the last 6 years towards outcome investigations of medical education. 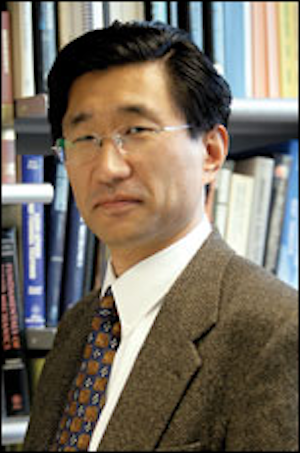 Prof. Jungho Kim is a Professor of Mechanical Engineering at the University of Maryland. His research interests include phase change heat transfer process as applied to electronic cooling; investigation of fundamental heat transfer mechanisms in boiling and spray cooling in Earth and microgravity environments; and high temperature radiation absorbance measurements. Prof. Kim has extensive experience in microgravity research, including his role as the principal investigator of the Boiling eXperiment Facility – Microheater Array Boiling Experiment (BXF MABE), which flew on the International Space Station in 2011. 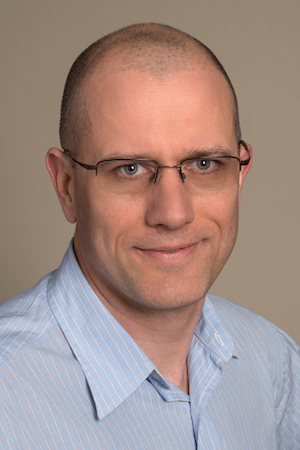 Kristofor Langlais, Ph.D. is a molecular geneticist and Lead Staff for the Genomics and Health Program within the NIH Office of Science Policy (OSP). In this role, Kristofor promotes and coordinates implementation of the NIH Genomic Data Sharing Policy across NIH Institutes and Centers and provides daily policy and technical guidance to both NIH leadership and external stakeholders. As part of this work, he monitors emerging ethical, legal, and societal implications associated with advancements in genomic research and designs policy solutions that ensure research participants’ wishes and privacy are respected. Kristofor also supports OSP’s activities in precision medicine and molecular diagnostics, with particular focus on scientific and technological advances in genetic testing and current challenges related to the clinical validity and utility of diagnostics. 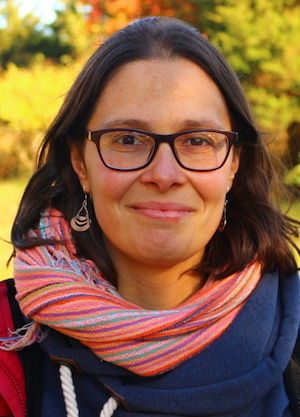 Juliette Lecomte is a Professor in the T.C. Jenkins Department of Biophysics in the School of Arts and Sciences at Johns Hopkins University in Baltimore. She is a physical chemist by training and specializes in the application of nuclear magnetic resonance spectroscopy to proteins. Her research interests include the molecular evolution of the hemoglobin superfamily. Currently, her group seeks to understand the thermodynamic and dynamic principles underlying adaptation to extreme environments, specifically those encountered by deep-sea unicellular organisms. Dr. Yuejin Li is Assistant Professor of Biology at Morgan State University. Dr. Li received her M.D. from China Medical University and Ph.D. in Integrative Biology from Florida Atlantic University, and completed her postdoctoral training at Johns Hopkins University School of Medicine. 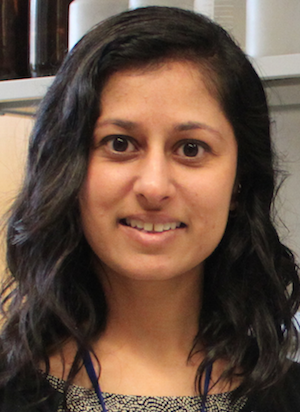 Research projects in her lab focus on the mechanisms underlying heart muscle dysfunction in heart diseases, including cardiomyopathies, ischemic-reperfusion injury, and cardiac toxicity of cancer treatment. The primary function of heart is to pump out blood in order to supply oxygen and nutrients to different parts of the body. Sarcomere is the basic contractile unit of the striated muscle (both skeletal and heart muscle). Any alternation of sarcomeric protein may potentially affect heart function. Recent study on heart tissue of heart failure patients revealed several novel post-translational modification sites on sarcomeric proteins. 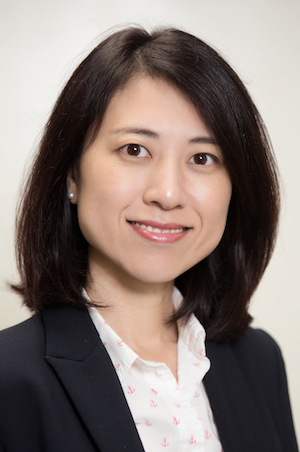 Currently, Dr. Li’s lab uses recombinant proteins, isolated muscle and mouse model to study whether and how modifications to those novel sites affect heart function in normal and diseased conditions. Dr. Liechti obtained his PhD in Microbiology, Immunology, and Cancer Biology from the University of Virginia before joining the Department of Microbiology and Immunology at Uniformed Services University (USU), initially as a postdoctoral fellow, and subsequently as an assistant professor. His research interests focus on cell division, cell wall (peptidoglycan) biosynthesis / degradation, nutrient acquisition and persistence mechanisms in a number of clinically relevant bacterial pathogens, including Chlamydia trachomatis and Borrelia burgdorferi. 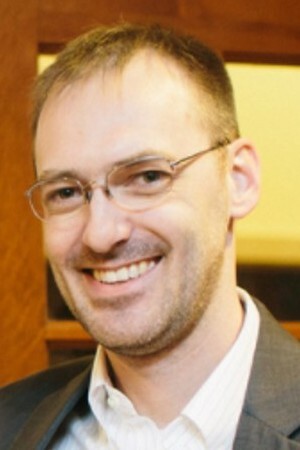 His research group utilizes a variety of tools, including visualization (super resolution microscopy), biochemical, and genetic approaches to investigate how some pathogens have become completely dependent on us to meet their most basic metabolic needs as a result of millions of years of co-evolution with their human hosts. Identifying how microbes respond to stress is particularly important when investigating human pathogens. 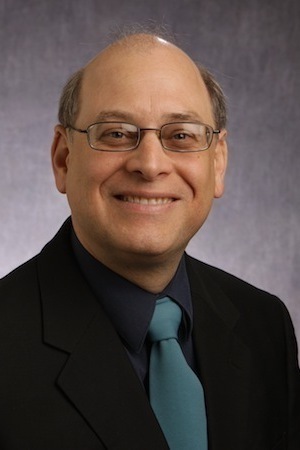 One of the major goals of Dr. Liechti’s research is to determine the mechanism(s) by which bacteria can overcome the effects of stress (resulting from antibiotic treatment or host cell cytokines) in order to help develop the next generation of therapeutics against highly prevalent, human-adapted bacterial pathogens. 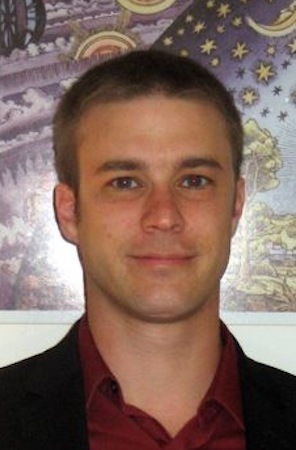 Dr. David Livengood is a biophysicist with a Ph.D. in Physiology. 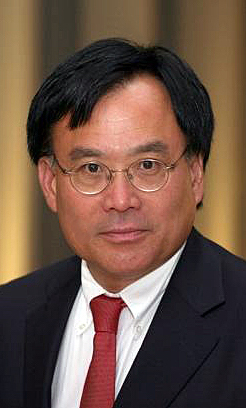 He has an extensive research background in biophysics in institutions such as the University of Maryland School of Medicine in Baltimore, Maryland, and the Armed Forces Radiobiology Research Institute in Bethesda, Maryland, where he served as the chair of the Physiology Department and the Applied Cellular Radiobiology Department. Dr. Tim Livengood is a senior advisor to SSEP and adjunct research scientist with the National Center for Earth and Space Science Education. He is a research scientist with the University of Maryland Department of Astronomy and works at NASA’s Goddard Space Flight Center. Tim has been a presenter and team leader for the Center’s public and school programs and has visited hundreds of classrooms. His current research uses a neutron-detecting instrument on the Lunar Reconnaissance Orbiter to measure deposits of water on the Moon, and uses infrared spectroscopy from telescopes on Earth to measure composition, temperature, and wind velocity in the atmospheres of other planets. 34. Hernan A. Lorenzi, Ph.D.
Hernan Lorenzi is an Assistant Professor in the Bioinformatics Department. His research is focused on the use of genomic, transcriptomics and metagenomic approaches to study evolution, diversity and host-pathogen/microbiome interactions of protozoan, viral and bacterial organisms relevant to human health. In this context, his lab is studying the role of genome diversity and human microbiome in host-pathogen interactions and protective immunity in Toxoplasmosis and Malaria. In addition, his team is also studying the interplay between host genetics, the environment and the human microbiome by looking at the impact of human genome diversity, long-term space travel and different kind of diets on the human microbiome and health. In 2011 he was awarded a grant from NASA to investigate how long-term space travel affects the biodiversity of the population of microorganisms that inhabit inside and outside the body of astronauts (microbiome). Dr. Lorenzi received his Ph.D. in Parasite Genomics and Molecular Biology from the University of Buenos Aires in Argentina in 2001, and was a postdoctoral fellow at Johns Hopkins University. Anthony LoRusso is a systems engineer at Northrop Grumman and a member of their local STEM Council. Twice a graduate from Drexel University, Anthony earned both a Bachelor of Science in Mechanical Engineering degree and a Bachelor of Science degree in Humanities and Communications. While at Drexel, he led Engineering student activities which included inviting and hosting the Administrator of the National Aeronautics and Space Administration (NASA). He has spent over twenty-five years with aerospace and defense technologies company Northrop Grumman. 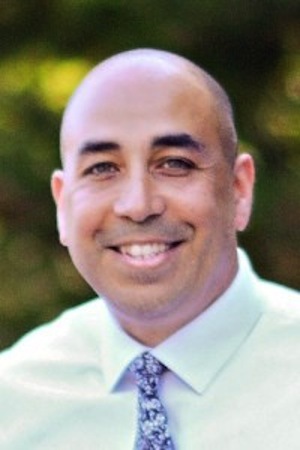 Anthony is steadfastly dedicated to promoting STEM education and has organized various events and programs for grades K-12 at rural and urban schools. He is a long-time member of the Board of Directors of the Delaware AeroSpace Education Foundation (DASEF). He has judged engineering competitions sponsored by the Navy for middle and high schools at both regional and national levels, including regionally judging project engineering notebooks. Dr. Lucie Low is a Scientific Program Manager at the National Center for Advancing Translational Sciences, where she manages the Tissue Chips for Drug Screening Program. She is also the NIH-NASA Liaison Point of Contact at NIH and aids the NCATS Director, Dr. Christopher Austin, in his role as HHS liaison to NASA. She joined NIH in 2012 as a Visiting Fellow, after doing postdoctoral training at McGill University in Montreal, Canada. She is a neuroscientist by training, and received her Masters and Doctorate in the neuroscience of pain from University College London after completing her undergraduate degree at Oxford University. Mollie Manier’s research investigates the evolution of giant sperm and sperm storage organs in fruit flies of the genus Drosophila. Fruit fly males have some of the longest sperm known, up to 5.8 cm in one species, 20 times longer than the fly itself. Dr. Manier’s research investigates the relationship between sperm structure and function, the genetics of sperm length, and how sperm morphology interacts with the female’s sperm storage organ, which can be even longer. The Manier lab also uses the fruit fly to study how the gut microbiome affects learning and how alcohol consumption in parents can affect alcohol sensitivity in progeny and grand-progeny. Marguerite Matthews is a science policy analyst with Ripple Effect Communications, Inc., where she supports the Division of Biomedical Research Workforce in the Office of Extramural Research at the National Institutes of Health (NIH). As an analyst, she examines trends in the biomedical research workforce to enhance programs and policies that impact researchers early in their careers. Dr. Matthews has a BS in biochemistry from Spelman College and a PhD in neuroscience from the University of Pittsburgh. She completed her postdoctoral fellowship in behavioral neuroscience at the Oregon Health & Science University and went on to become a 2016-2018 AAAS Science & Technology Policy Fellow at the NIH. Todd A. Miller is an Associate Professor in the Department of Exercise and Nutrition Sciences at the George Washington University Milken Institute School of Public Health. Dr. Miller is an internationally renowned expert in Strength Training for athletic performance and health. His early focus on the influence of strength training on athletic performance evolved into an interest in how human beings respond to long-term space travel. 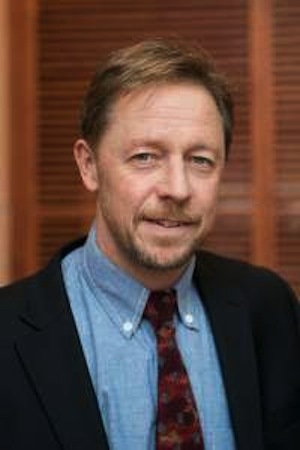 To learn more, Dr. Miller has used animal models to investigate the deleterious effects of microgravity on physiology, and how those effects can be countered, and played an integral role in a multi-year NASA project that included flying an experiment on the ill-fated Columbia shuttle in 2003. Alex has worked for 25+ years at the Goddard Space Flight Center in the Materials Engineering Branch. Prior to that, he worked in the Materials Engineering Branch at the Westinghouse Electronics and Oceanic Divisions. He has a B.S. in Chemistry from the University of Maryland. Prior to becoming the head of the Materials Engineering Branch, Alex worked in the Spectroscopy & Thermal Analysis Laboratory in the Branch conducting analyses on chemical and thermal properties of materials proposed for use in spaceflight applications. The Materials Engineering Branch assists NASA’s flight projects in the selection, testing, and failure analyses of aerospace materials. The Branch has a full complement of chemical, thermal, mechanical, failure analysis, and imaging laboratories with state of the art instrumentation. 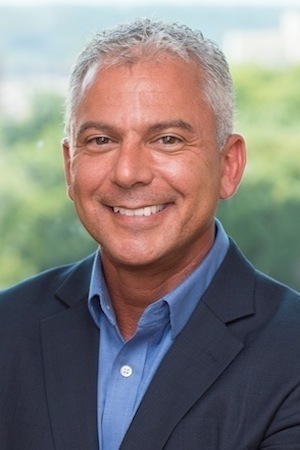 Russell Moy is General Counsel for the Southeastern Universities Research Association with responsibility for managing SURA’s legal, regulatory, compliance, and technology transfer matters. Dr. Moy also participates in the management and operations of the Jefferson Lab (a DOE National Lab) and in SURA’s technology collaborations and research initiatives at and at NASA’s Kennedy Space Center and Goddard Space Flight Center. He worked previously at the National Science Board Office at the NSF, at the White House Office of Science and Technology Policy, at the Department of Commerce, and in the offices of Members of the U.S. Senate and House of Representatives. 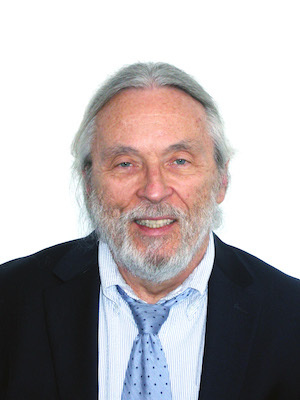 He was a member of the scientific and engineering research staffs of Ford Motor Company, the Paul Scherrer Institut (the Swiss National Lab), and the Institute for Inorganic and Analytical Chemistry at the University of Fribourg (Switzerland). He is a graduate of Case Western Reserve University (B.S., Chemical Engineering), The University of Michigan (M.S. and Ph.D., Chemical Engineering), Wayne State University School of Law (J.D. ), and the Georgetown University Law Center (LL.M., International Law and Certificate in National Security Law.) He is an elected Fellow of the American Association for the Advancement of Science. Dr. Murgai received her Ph.D. from the University of Virginia in Charlottesville, Virginia. Her area of study is the role of stromal cell plasticity in pre-metastatic niche biology and metastatic progression. Dr. Terry Pellmar has contributed to a wide range of research projects and policy studies over her 30+ year scientific career. She started out as a research neuroscientist at the Armed Forces Radiobiology Research Institute (AFRRI) with an interest in the effects of radiation on neural function. Between 1999 and 2002 she went to the Institute of Medicine, National Academy of Sciences to direct health policy setting studies on neurologic and mental disorders, substance abuse, and behaviors impacting health. 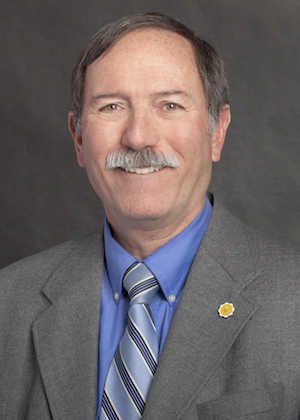 Terry returned to AFRRI in 2002 as Scientific Director to oversee the institute’s research program on development of radiation countermeasures and biodosimetric assessment. At the same time, she was Professor and Chair of the Radiation Biology Department at the Uniformed Services University of the Health Sciences. In 2009 she retired but continues to consult and to serve on advisory panels. For the past several years, Terry has been sharing her excitement for science with elementary school students as volunteer with the AAAS/SSE STEM program. 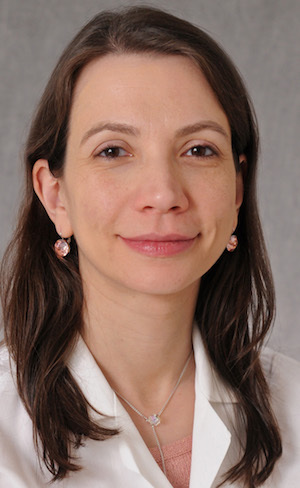 Loria Pollack, MD, MPH, is a physician researcher and medical epidemiologist at the Centers for Disease Control and Prevention (CDC). 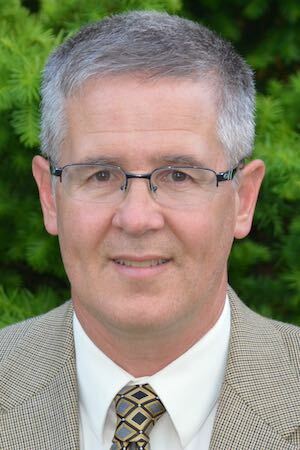 Dr. Pollack joined CDC in 2002 as a U.S. Public Health Service officer in the Epidemic Intelligence Service after receiving degrees in medicine and public health from Rutgers Robert Wood Johnson Medical School and completing Columbia University’s internal medicine residency in Cooperstown, NY. She later completed a second residency in preventive medicine, the precursor training for aerospace medicine. Dr. Pollack currently leads the CDC’s cancer surveillance data visualization initiative and advises on the multistate registry project that supported the collection of central cancer registry data for patient centered outcome research. 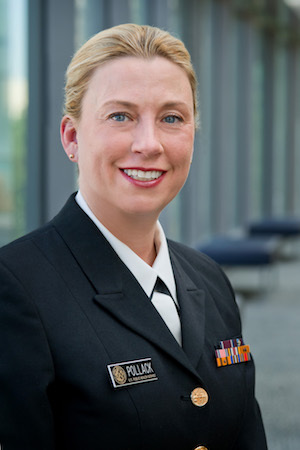 Prior to her position in the Cancer Surveillance Branch, Dr. Pollack served for nine years in the Epidemiology and Applied Research Branch within the Division of Cancer, four years focused on decreasing antibiotic resistance in the National Center for Emerging and Zoonotic Infectious Diseases, and has served in the field at a local health department and in response to multiple national public health emergencies. Dr. Pollack has published more than 60 peer-reviewed papers and government reports in epidemiology, health service research, and quality improvement and often serves as a reviewer for CDC funded programs and scientific projects. She is dedicated to applying science to improve health and health care and credits her interest is the mission of SSEP to attending Space Camp with her children in Huntsville, AL. Amra obtained her BSc in Chemistry and Biology and PhD in Molecular Science at Ryerson University in Toronto, Canada. She is currently engaged in cell biology research at the NIH in the laboratory of Dr. Juan Bonifacino. Her interests lie in protein and membrane trafficking – the mechanisms by which proteins and entire organelles are maintained at the right place at the right time in cells. To study these phenomena, she employs genetic tools to detect and disrupt trafficking pathways in cultured mammalian cells and observes the effects by using confocal fluorescence microscopy and biochemistry. 46. 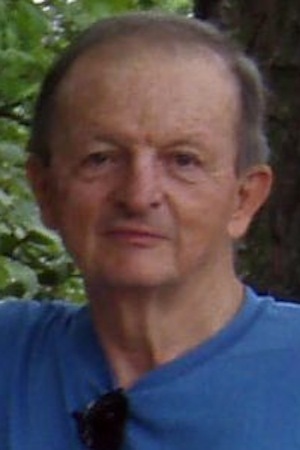 J. Reid Schwebach, Ph.D., Ed.M. Dr. Schwebach is an RCP Project Director at AAAS. He is currently working on and developing projects that provide essential advisory and support work, proposal review, and infrastructure assessment for RCP. He received his PhD in microbiology and immunology from the Albert Einstein College of Medicine. He holds Ed.M. (secondary science education) and M.A. (international education development) degrees from Teachers College, Columbia University. He has a BA in agriculture and a BS in biochemistry from New Mexico State University. Before coming to AAAS, Reid was a Program Manager, Coordinator, and Assistant Professor for the College of Science at George Mason University, from 2010-2018. At Mason, he helped develop a new undergraduate curriculum in bioinformatics, was the founding coordinator of the Governor’s School @ Innovation Park, taught phage ecology undergraduate research, and was involved with several NSF projects. Before Mason, he worked for the Board on Science Education at The National Research Council. From 2007-2008, he was an American Association for the Advancement of Science sponsored Science and Technology Policy Fellow at the National Science Foundation, in The Division of Research and Learning. In the NYC public school system, he taught high school chemistry and independent student research at The Beacon School. His scientific research focused on the immunology of M. tuberculosis, the bacterial pathogen that causes tuberculosis. Margaret Scull obtained her Ph.D. in Microbiology and Immunology from the University of North Carolina at Chapel Hill in 2009. After completing her post- doctoral research at the Rockefeller University, she joined the faculty at the University of Maryland – College Park as an Assistant Professor. Dr. Scull’s lab works at the interface of virology and cell biology. 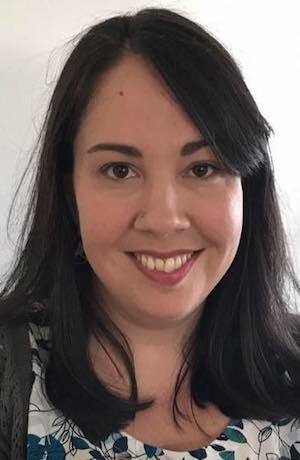 Specifically, her research focuses on virus-host interactions in the airway epithelium – the primary target for infection by influenza virus and other clinically relevant respiratory viruses. Her research uses a variety of tools, including microscopy, deep sequencing technology, viral genetics, and in vitro primary cell model systems to understand mechanisms of host restriction and innate defense against viral infection. 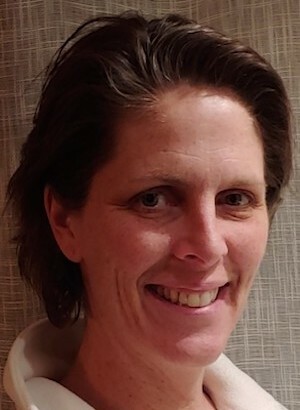 In addition to her work in the lab, Dr. Scull has been active in science education Outreach, including after school mentoring in STEM education and volunteering as both an educator on the BioBus mobile laboratory and as a judge at science fair competitions in the New York City area. 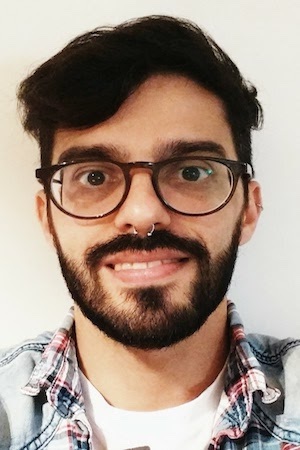 Daniel Serrano is a Faculty Specialist at the University of Maryland College Park (UMCP) Institute for Research in Electronics and Applied Physics (IREAP), where he works in program administration, grant proposal advising/mentoring, and science outreach initiatives. He completed a B.S. in Biochemistry at Virginia Tech and an M.S. in Cell Biology and Molecular Genetics (CBMG) at UMCP. During his PhD work in the Biological Sciences program at UMCP, Daniel studied the optimization of targeted therapeutic delivery using nanocarriers and also the interactions between blood clots, blood cells, and the walls of blood vessels. 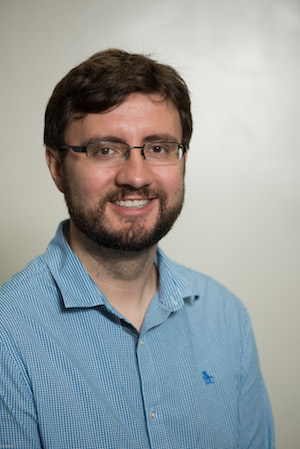 In his current role at UMCP, Daniel works with the Cell Biology and Molecular Genetics (CBMG) Department to organize a University System of Maryland SSEP community. He has been Community Program Director in USM’s Mission 10, 11 and 12 to ISS. Education. Much of her scholarship has focused on the role of technology as viable and valuable learning and research tools in science education, and more recently on policy in science and in STEM education. Simmons was awarded over $50 million in externally funded federal and private grants for research, teacher education, and education projects. Simmons has served as Chair of the Council of Scientific Society Presidents, President of the National Science Teachers Association, and President of the Association for Science Teacher Education. She also received several national awards for excellence (AAAS Fellow, Gustav Ohaus Award for Outstanding College Science Teaching, and the NSTA Distinguished Service to Science Education). Julia earned her B.S. in Biology with a minor in English Literature at Villanova University and her Ph.D. from the Cellular, Molecular, Developmental Biology and Biophysics program at Johns Hopkins University. During her graduate work she was also part of the National Institutes of Health’s Graduate Partnerships Program, allowing her to complete her dissertation work in the National Institute on Drug Abuse’s Neuronal Circuits and Behavior Unit. Her dissertation focused on the neuronal circuits that drive survival behaviors, such as feeding. While at NIDA, Julia used optogenetics, chemogenetics, and in vivo two-photon endomicroscopy to identify and modulate neurons throughout the brain that drive food intake. 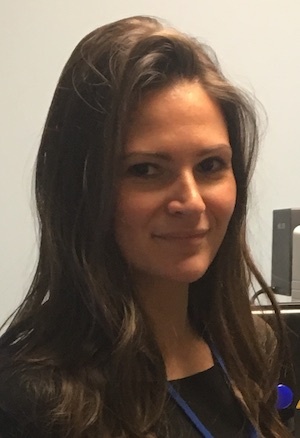 Between her undergraduate and graduate degrees, Julia spent 5 years managing interdisciplinary clinical research studies for the Pennsylvania State University College of Medicine’s Department of Neurology. Throughout her research career she has been involved with developing novel biomedical tools and devices. She is interested in helping to improve the transition of basic and clinical research discoveries to the bedside. In her spare time she works as an editor of science fiction and fact articles to help bring cutting edge science to the public. 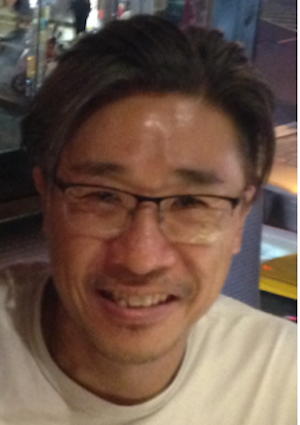 Dr. Starz-Gaiano investigates the genetic control of animal development. In particular, her studies focus on understanding how cells adopt different identities and move through complex environments. She uses the vast genetic tools developed in fruit flies to identify new molecules involved in these processes. Interestingly, many of the same genes that regulate development in flies are required in the development of other animals, including humans. Currently, much of the work from her research group focuses on the regulation of the Janus Kinase and STAT molecular signaling pathway. 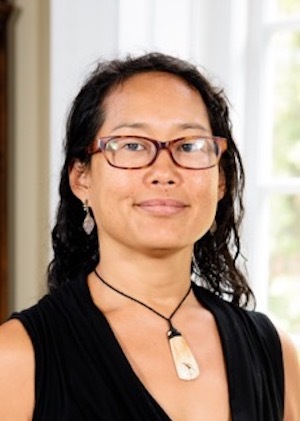 Dr. Starz-Gaiano earned a bachelor’s degree from MIT, a PhD from NYU, and completed postdoctoral work at Johns Hopkins Medical School before starting at UMBC in 2008. Dr. Pushpa Tandon received her Master’s in Biochemistry and her Ph.D. in Neurochemistry, from the University of Lucknow, India. Dr. Tandon is currently a Program Director, within the Cancer Imaging Program, and the Administrative Deputy Director, of the Quantitative Imaging Network, an international Network for development of quantitative imaging tools for prediction of tumor response to treatment, at the National Cancer Institute, Maryland, USA. She has been working in the field of Cancer Imaging for over 25 years and has developed and manages several international programs and collaborations around the world. She was involved with the establishment of low cost, point-of-care technologies for cancer program at NCI and currently manages several of the international project under it . She has been a mentor to several Ph.D students and enjoys working with students at all levels. Her main interests are cancer imaging, cancer biomarkers, inflammation and nanotechnology. Dr. Tandon is interested in the holistic approach to medicine. She was awarded the United States Embassy Science fellowship in summer 2018 to develop a bilateral Indo-US bilateral program on Indian Traditional medicine and cancer. She has published over 50 peer review articles and several book chapters. 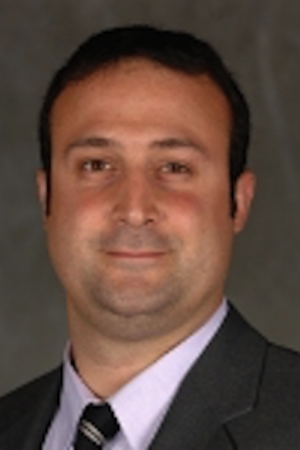 Alex Theos is an Associate Professor at the Department of Human Science in the School of Nursing And Health Studies at Georgetown University. His research interests include the biogenesis of specialized organelles, focusing on the intracellular membrane trafficking pathways. Currently, his research lab is working to understanding the cell biology of the GPNMB protein, which is associated with diverse pathologies including melanoma and pigmentary glaucoma. Dr. David Tomko is Program Scientist for Space Biology in the Space Life and Physical Sciences Division of HEOMD at NASA headquarters. In his 30 years with NASA, he was a bench scientist working on the physiology of the balance organs and the Science Director of the Vestibular Research Facility at Ames Research Center (1986-1998), Acting Chief and Deputy Chief of the Gravitational Research Branch at Ames, (1994-1998), Lead Scientist for the Biomedical Program at NASA Headquarters (1998-2003), Headquarters Chief Scientist for the Human Support Research and Technology Program (2003-2005) and currently Program Scientist for Space Biology. He has had numerous administrative roles at Ames and at NASA headquarters. He has had responsibility for managing peer review of multiple NASA Life Sciences Research Programs, and served as an interface with advisory committees and a resource for legislative affairs. Prior to joining NASA, he was a researcher and teacher and Associate Professor of Physiology (Neuroscience) at the University of Pittsburgh School of Medicine, from which he obtained a Ph.D. degree in 1971, and where he served on the faculty from 1972-1986. While there, he was the recipient of numerous NIH and NASA grants in support of his research, and is the author of numerous peer reviewed scientific papers and book chapters. 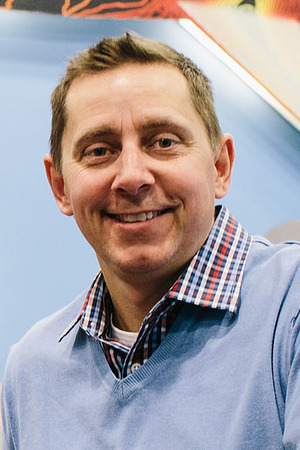 Originally from Finland, Harri received his Ph.D. in astronomy from the University of Oulu. Harri has worked in various research and education organizations in the Unites States for 20 years. He is a Senior Scientist at Arctic Slope Technical Services, where he works with NASA’s Space Technology and Human Exploration and Operations Mission Directorates to help select new space technology projects for development and experiments for flight to the International Space Station. 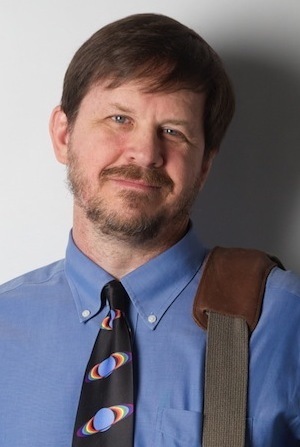 His science research focuses on the use of computer simulations to investigate the origin of the Solar System and the formation of stars and planetary systems across the Universe. His science education activities have included hundreds of visits to grade K-12 classrooms, conducting teacher training workshops, teaching college courses, and presentations to families and the public—he is one of the presenters for the Center’s Family Science Night program at the Smithsonian National Air and Space Museum. Kirsten is the Education Program Coordinator at the National Center for Earth and Space Science Education, joining the team in November 2017. She provides administrative support for NCESSE’s various programs, including SSEP. 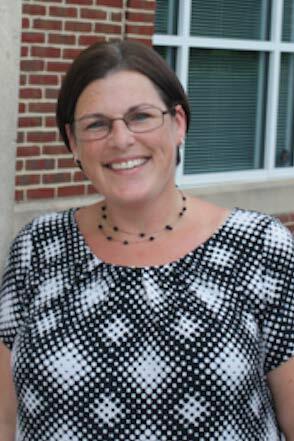 Kirsten has extensive experience working in higher education, previously working at the University of Virginia and the University of Richmond. Her most recent position was supporting programs and fundraisers in University Advancement at UVA. 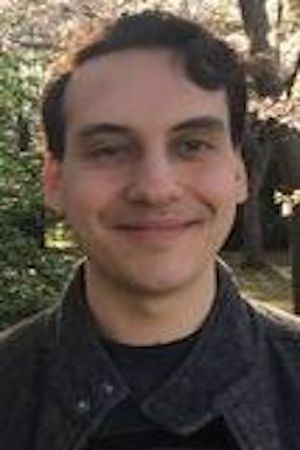 Jake Weissman is a graduate student in the Behavior, Ecology, Evolution, and Systematics specialization of the Biological Sciences Graduate Program at the University of Maryland College Park. His work is centered on the never-ending battle between bacteria and their viral predators and how bacteria tune their defenses to fit the pathogenic environment around them. He is advised by Drs. Bill Fagan and Philip Johnson, who both have primarily theory-driven labs and largely focus on building statistical and mathematical models of ecological and population genetic phenomena. Jake has been involved in outreach programs since his time as an undergraduate where he ran his college’s math circle for middle school students and has spent time working with the Bridge to Enter Advanced Mathematics. 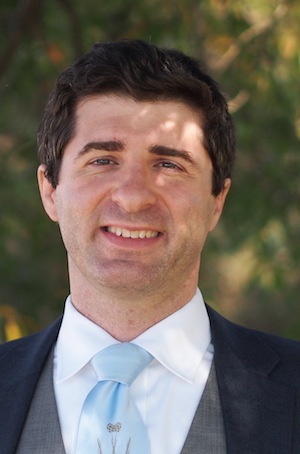 Kol Zarember obtained his PhD from the New York University School of Medicine and performed postdoctoral research at Genentech, Inc. before moving to the National Institutes of Health. Dr. Zarember is currently the Scientific Operations Manager of the Laboratory of Clinical Immunology and Microbiology and his research interests focus on the recognition of microbes by the human immune system and on how the innate immune system counters invasion by pathogens. Through studying patients with various rare genetic alterations in immunity, he works to better understand how neutrophils, the most abundant white blood cell in the circulation, prevent infections and contribute to other aspects of inflammation and human biology including atherosclerosis.